A few days ago the fire that had been simmering away in the forests to the west of Franklin suddenly expanded under the influence of first northwest then southwest winds. Towns downriver, such as Castle Forbes Bay, Port Huon and Geeveston were under serious threat. The Living Boat Trust became an unofficial drop in centre for some of those who followed the Fire Brigade advice to evacuate their homes. That threat has, thank goodness, abated for the moment and everybody down here is breathing easier, both physically and metaphorically. However due to the density of the forest, the fuel load and the terrain we will have to wait for rain before it finally goes away. Tawe Nunnugah has been rescheduled to commence on Friday (after the predicted rain) with the strong likelihood of an altered route. The weather is forecast to warm and the winds to blow again from the northwest (see snapshots below) which could fan the fires onto our original, planned course. For the latest details see tawe-nunnugah.org. 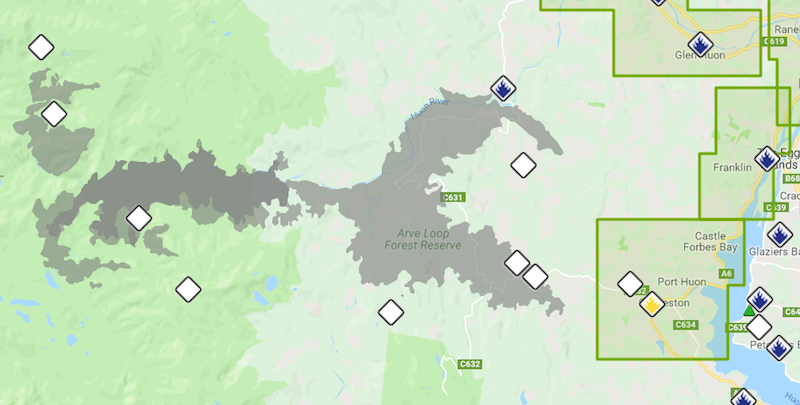 Yesterday ABC Radio Hobart (936) in their bushfire up-dates advised that the route south of the Huonville Bridge (to Franklin and beyond) was closed to everybody but local residents. The Tasmanian Government official on-line emergency information service (TasALERT) indicates the road from Huon to Franklin and the south is now open, so those coming to the LBT from outside the district are again welcome. Just be aware that it is possible that the situation could change for the worse. 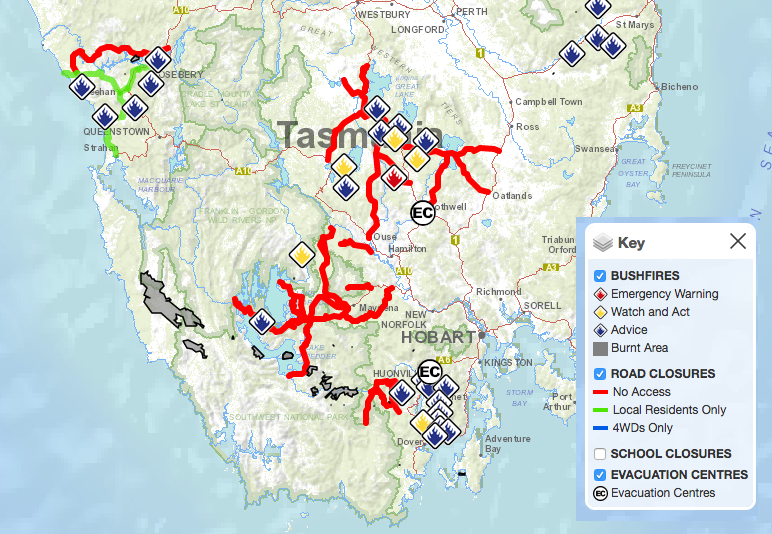 See http://www.alert.tas.gov.au/Pages/map.aspx for the latest details on road closures.